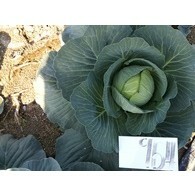 Medium early hybrid cabbage, Semiglobe head weight 1.2~1.5kg. Harvested in 70~75 days after transplanting. Very uniform and easy to grow. Excellent source of anthocyanin 680.4mg/100g. Very popular variety in the tropics. Good for transplanting with firm head. Nice adaptability in the tropics. Good for transplanting with firm head. 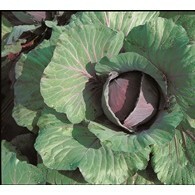 Early maturing round cabbage with 45 days to harvest after transplant. Average head weight of 0.8~1.0kg. 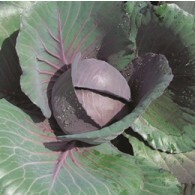 Head is dark green colored with excellent taste. Grows with uniformity and has cracking tolerance. 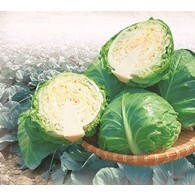 Hybrid cabbage with weight of 0.8~1.0kg, very firm head with compact outer leaves. Harvested in 40~50 days after transplanting. Very uniform and easy to grow. Excellent sweet taste for fresh salad. Firm and solid head with excellent eating quality and weight of 1.3~1.6kg. 65~70 days harvest after ransplanting. Very late bursting. Good for transporting and keeping. 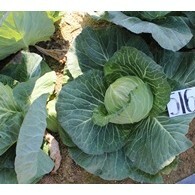 Hybrid cabbage with 60 days maturity after transplanting, small plant type with 0.8 - 1.2kg weight head, Globe shape with deep green color leaves. 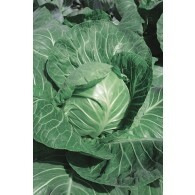 It has resistance to cabbage yellow. Early maturity with 55 days after transplanting. Globe shape head weight is 1.0 - 1.3kg, Leaf color is blue green.